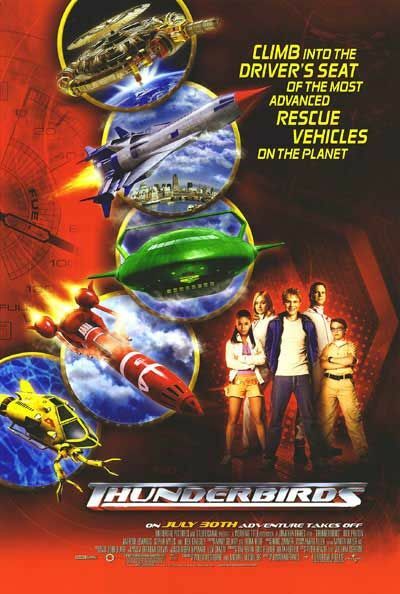 In 2004 director Jonathan Frakes brought Gerry Anderson's Thunderbirds to the big screen in a live-action remake and re-imagining of the popular British marionette puppet TV show from the 1960's. 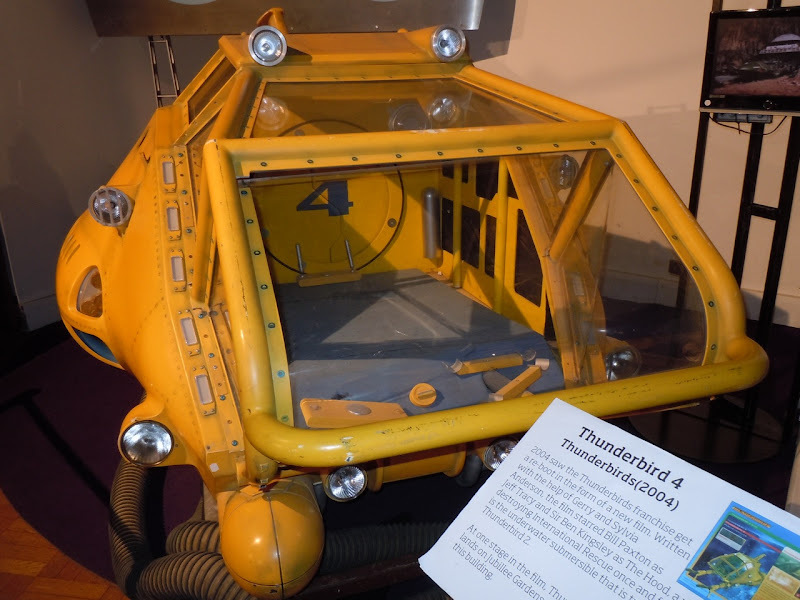 Thunderbird 4 is just one of International Rescue's many vehicles designed for specific rescue conditions and environments. 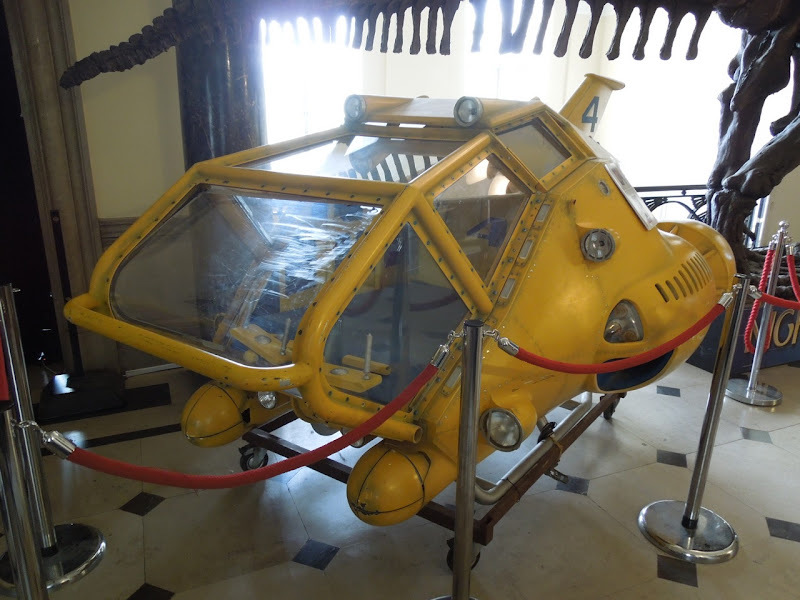 This one is a small underwater utility submersible transported where it is needed by Thunderbird 2 (a supersonic VTOL carrier aircraft). 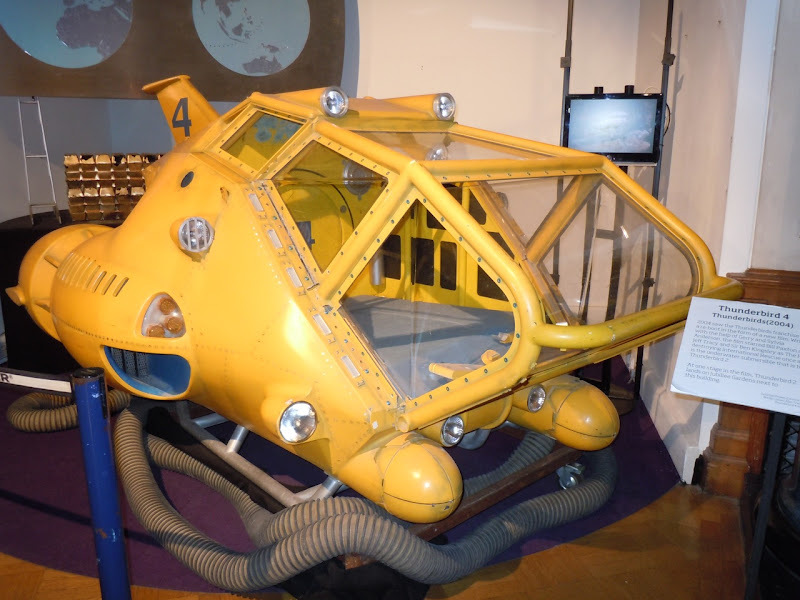 This movie vehicle was photographed on display at the London Film Museum on January 25, 2011. 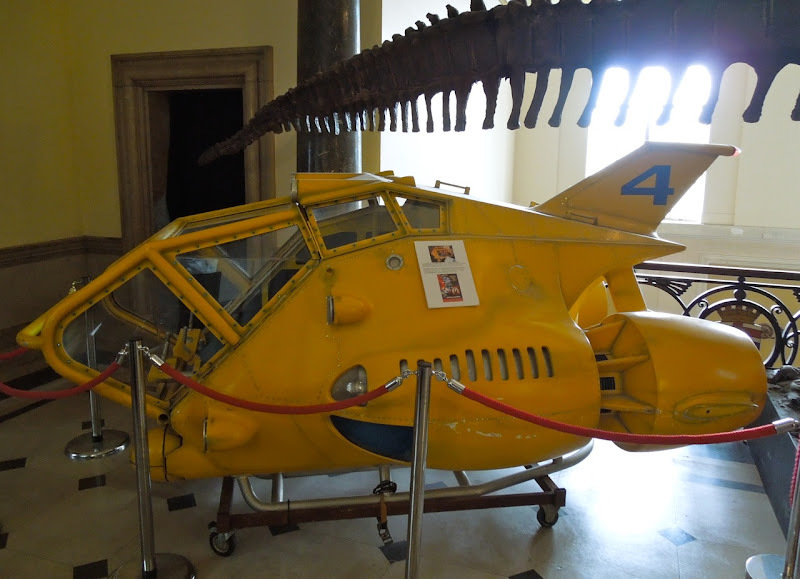 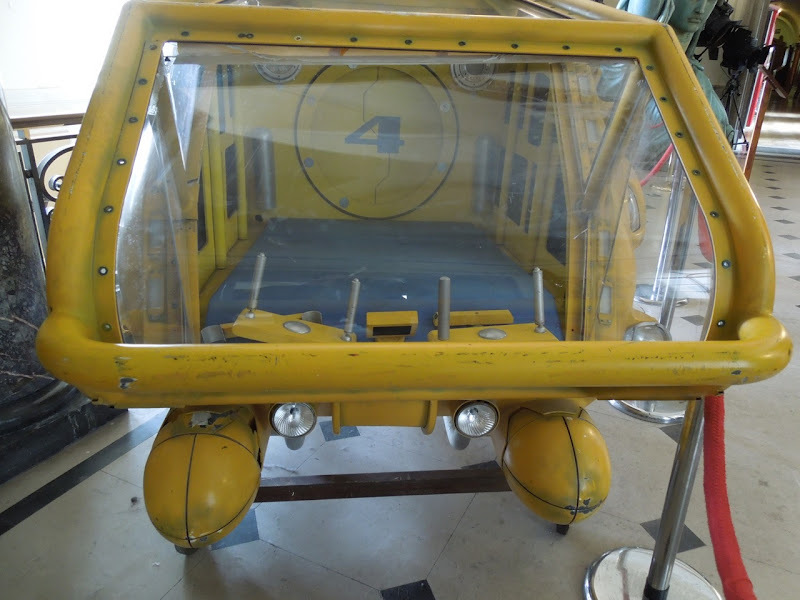 UPDATED: Here's another look at the Thunderbird 4 submersible from a return visit to the museum on May 15, 2012.